Height: 6" 6 1/8" 6 1/4" 6 3/8" 6 1/2" 6 5/8" 6 3/4" 6 7/8" 7" 7 1/8" 7 1/4" 7 3/8" 7 1/2" 7 5/8" 7 3/4" 7 7/8" 8" 8 1/8" 8 1/4" 8 3/8" 8 1/2" 8 5/8" 8 3/4" 8 7/8" 9" 9 1/8" 9 1/4" 9 3/8" 9 1/2" 9 5/8" 9 3/4" 9 7/8" 10" 10 1/8" 10 1/4" 10 3/8" 10 1/2" 10 5/8" 10 3/4" 10 7/8" 11" 11 1/8" 11 1/4" 11 3/8" 11 1/2" 11 5/8" 11 3/4" 11 7/8" 12" 12 1/8" 12 1/4" 12 3/8" 12 1/2" 12 5/8" 12 3/4" 12 7/8" 13" 13 1/8" 13 1/4" 13 3/8" 13 1/2" 13 5/8" 13 3/4" 13 7/8" 14" 14 1/8" 14 1/4" 14 3/8" 14 1/2" 14 5/8" 14 3/4" 14 7/8" 15" 15 1/8" 15 1/4" 15 3/8" 15 1/2" 15 5/8" 15 3/4" 15 7/8" 16" 16 1/8" 16 1/4" 16 3/8" 16 1/2" 16 5/8" 16 3/4" 16 7/8" 17" 17 1/8" 17 1/4" 17 3/8" 17 1/2" 17 5/8" 17 3/4" 17 7/8" 18" 18 1/8" 18 1/4" 18 3/8" 18 1/2" 18 5/8" 18 3/4" 18 7/8" 19" 19 1/8" 19 1/4" 19 3/8" 19 1/2" 19 5/8" 19 3/4" 19 7/8" 20" 20 1/8" 20 1/4" 20 3/8" 20 1/2" 20 5/8" 20 3/4" 20 7/8" 21" 21 1/8" 21 1/4" 21 3/8" 21 1/2" 21 5/8" 21 3/4" 21 7/8" 22" 22 1/8" 22 1/4" 22 3/8" 22 1/2" 22 5/8" 22 3/4" 22 7/8" 23" 23 1/8" 23 1/4" 23 3/8" 23 1/2" 23 5/8" 23 3/4" 23 7/8" 24" 24 1/8" 24 1/4" 24 3/8" 24 1/2" 24 5/8" 24 3/4" 24 7/8" 25" 25 1/8" 25 1/4" 25 3/8" 25 1/2" 25 5/8" 25 3/4" 25 7/8" 26" 26 1/8" 26 1/4" 26 3/8" 26 1/2" 26 5/8" 26 3/4" 26 7/8" 27" 27 1/8" 27 1/4" 27 3/8" 27 1/2" 27 5/8" 27 3/4" 27 7/8" 28" 28 1/8" 28 1/4" 28 3/8" 28 1/2" 28 5/8" 28 3/4" 28 7/8" 29" 29 1/8" 29 1/4" 29 3/8" 29 1/2" 29 5/8" 29 3/4" 29 7/8" 30" 30 1/8" 30 1/4" 30 3/8" 30 1/2" 30 5/8" 30 3/4" 30 7/8" 31" 31 1/8" 31 1/4" 31 3/8" 31 1/2" 31 5/8" 31 3/4" 31 7/8" 32" 32 1/8" 32 1/4" 32 3/8" 32 1/2" 32 5/8" 32 3/4" 32 7/8" 33" 33 1/8" 33 1/4" 33 3/8" 33 1/2" 33 5/8" 33 3/4" 33 7/8" 34" 34 1/8" 34 1/4" 34 3/8" 34 1/2" 34 5/8" 34 3/4" 34 7/8" 35" 35 1/8" 35 1/4" 35 3/8" 35 1/2" 35 5/8" 35 3/4" 35 7/8" 36" 36 1/8" 36 1/4" 36 3/8" 36 1/2" 36 5/8" 36 3/4" 36 7/8" Width: 6" 6 1/8" 6 1/4" 6 3/8" 6 1/2" 6 5/8" 6 3/4" 6 7/8" 7" 7 1/8" 7 1/4" 7 3/8" 7 1/2" 7 5/8" 7 3/4" 7 7/8" 8" 8 1/8" 8 1/4" 8 3/8" 8 1/2" 8 5/8" 8 3/4" 8 7/8" 9" 9 1/8" 9 1/4" 9 3/8" 9 1/2" 9 5/8" 9 3/4" 9 7/8" 10" 10 1/8" 10 1/4" 10 3/8" 10 1/2" 10 5/8" 10 3/4" 10 7/8" 11" 11 1/8" 11 1/4" 11 3/8" 11 1/2" 11 5/8" 11 3/4" 11 7/8" 12" 12 1/8" 12 1/4" 12 3/8" 12 1/2" 12 5/8" 12 3/4" 12 7/8" 13" 13 1/8" 13 1/4" 13 3/8" 13 1/2" 13 5/8" 13 3/4" 13 7/8" 14" 14 1/8" 14 1/4" 14 3/8" 14 1/2" 14 5/8" 14 3/4" 14 7/8" 15" 15 1/8" 15 1/4" 15 3/8" 15 1/2" 15 5/8" 15 3/4" 15 7/8" 16" 16 1/8" 16 1/4" 16 3/8" 16 1/2" 16 5/8" 16 3/4" 16 7/8" 17" 17 1/8" 17 1/4" 17 3/8" 17 1/2" 17 5/8" 17 3/4" 17 7/8" 18" 18 1/8" 18 1/4" 18 3/8" 18 1/2" 18 5/8" 18 3/4" 18 7/8" 19" 19 1/8" 19 1/4" 19 3/8" 19 1/2" 19 5/8" 19 3/4" 19 7/8" 20" 20 1/8" 20 1/4" 20 3/8" 20 1/2" 20 5/8" 20 3/4" 20 7/8" 21" 21 1/8" 21 1/4" 21 3/8" 21 1/2" 21 5/8" 21 3/4" 21 7/8" 22" 22 1/8" 22 1/4" 22 3/8" 22 1/2" 22 5/8" 22 3/4" 22 7/8" 23" 23 1/8" 23 1/4" 23 3/8" 23 1/2" 23 5/8" 23 3/4" 23 7/8" 24" 24 1/8" 24 1/4" 24 3/8" 24 1/2" 24 5/8" 24 3/4" 24 7/8" 25" 25 1/8" 25 1/4" 25 3/8" 25 1/2" 25 5/8" 25 3/4" 25 7/8" 26" 26 1/8" 26 1/4" 26 3/8" 26 1/2" 26 5/8" 26 3/4" 26 7/8" 27" 27 1/8" 27 1/4" 27 3/8" 27 1/2" 27 5/8" 27 3/4" 27 7/8" 28" 28 1/8" 28 1/4" 28 3/8" 28 1/2" 28 5/8" 28 3/4" 28 7/8" 29" 29 1/8" 29 1/4" 29 3/8" 29 1/2" 29 5/8" 29 3/4" 29 7/8" 30" 30 1/8" 30 1/4" 30 3/8" 30 1/2" 30 5/8" 30 3/4" 30 7/8" 31" 31 1/8" 31 1/4" 31 3/8" 31 1/2" 31 5/8" 31 3/4" 31 7/8" 32" 32 1/8" 32 1/4" 32 3/8" 32 1/2" 32 5/8" 32 3/4" 32 7/8" 33" 33 1/8" 33 1/4" 33 3/8" 33 1/2" 33 5/8" 33 3/4" 33 7/8" 34" 34 1/8" 34 1/4" 34 3/8" 34 1/2" 34 5/8" 34 3/4" 34 7/8" 35" 35 1/8" 35 1/4" 35 3/8" 35 1/2" 35 5/8" 35 3/4" 35 7/8" 36" 36 1/8" 36 1/4" 36 3/8" 36 1/2" 36 5/8" 36 3/4" 36 7/8"
Any Kind of Filter's Extended Surface Pleated Custom Air Filters outperform ordinary furnace filters with medium efficiency and are designed for lower pressure drop, and long service life which reduces HVAC equipment maintenance and energy costs. Pleated custom air filters increase efficiency and filtration as compared to their normal flat counterparts due to their accordion design. This gives it a larger surface area and allows it to capture small particle while still allowing great air flow. This also allows our pleated custom air filters to have a higher MERV rating. 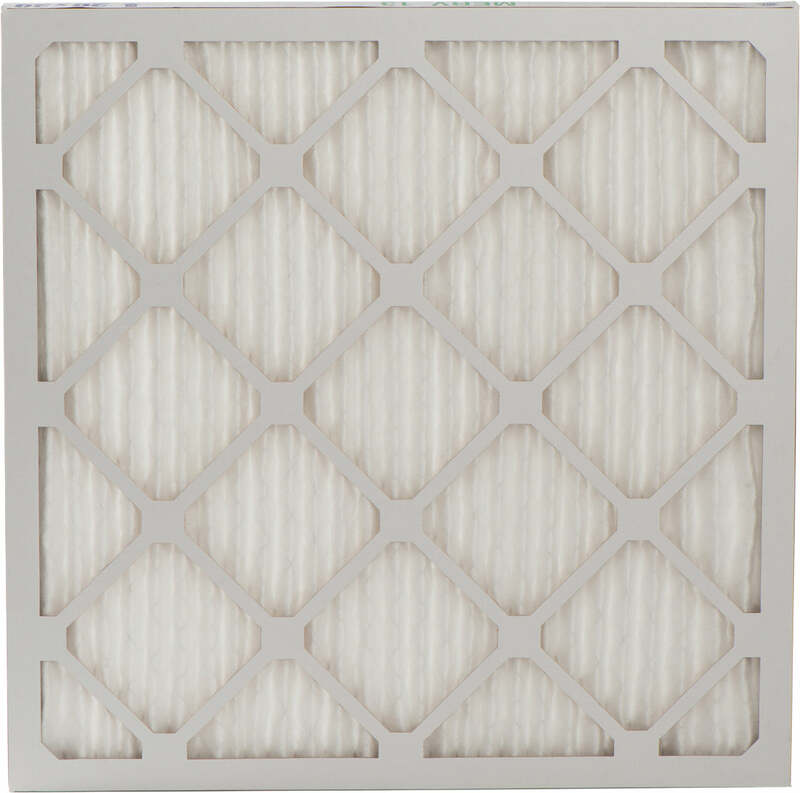 A higher MERV rating means that the custom air filter that you are about to purchase possesses a higher amount of impurity filtration ability than your ordinary filter. To learn more about the MERV rating system, click HERE (opens in a new window so you can continue your order after reading). Custom air filters can be offered in any conceivable size. Whether you’re looking for a replacement or a new filter for your new furnace with a high MERV rating this is the place to shop. Ordering a custom air filter is quick and easy. If you are ordering a replacement custom air filter finding the measurements you need is easy. First you can check the old filter for sizing information or check the furnace or furnace owner’s manual for sizing details. If you can’t find the sizing information you can simply measure the old filer. When buying a custom air filter for a new unit check the owner’s manual for sizing details. After you obtain the needed sizes you are ready to order. Ordering a custom air filter is quick and easy. Simply enter the depth, width and height into our easy to use order form above and place your order. 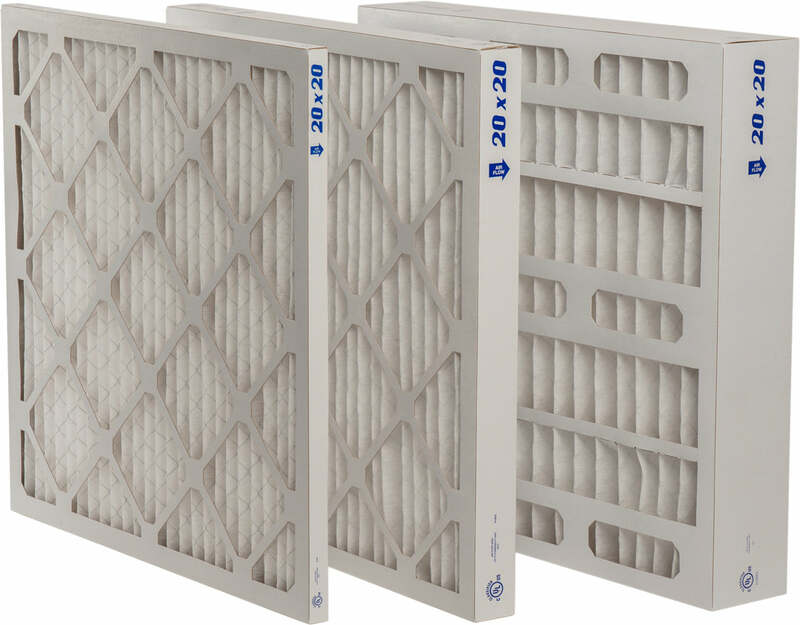 We can provide custom air filters in depths of 1 and 2 inches and heights and widths ranging from 6 to 36 7/8 with increments in 8ths of an inch. You can also order in pack of 4, 6 and 12. Thank you for visiting. We look forward to delivering our American-made, high quality Custom Air Filters to you. Order today and start breathing easier! 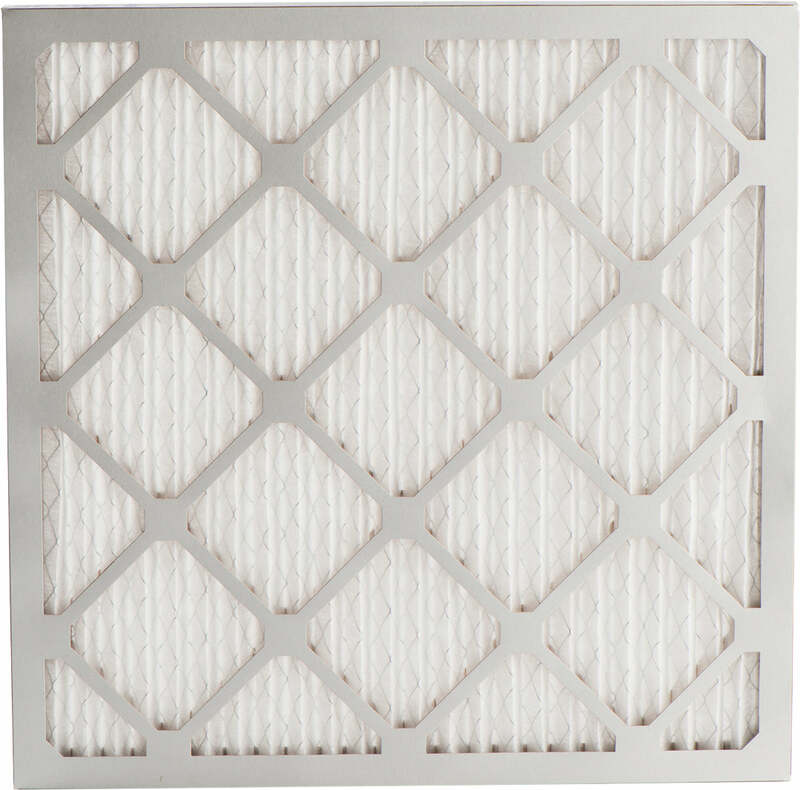 MERV, or Minimum Efficiency Reporting Value, is a filter rating system devised by ASHRAE to standardize and simplify air filtration efficiency ratings. 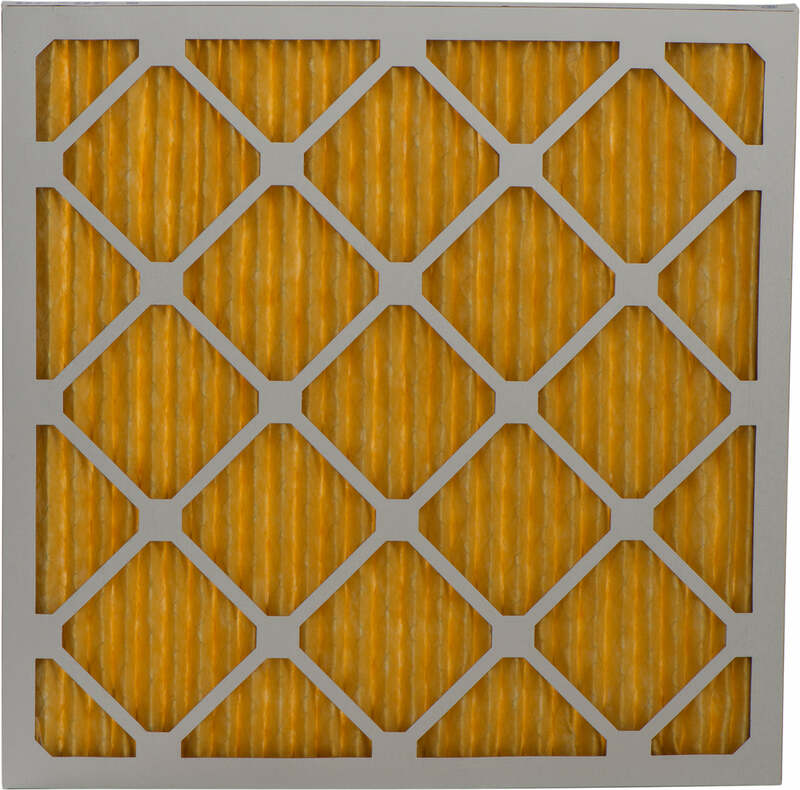 A higher MERV rating means your air filter will filter the air more efficiently.